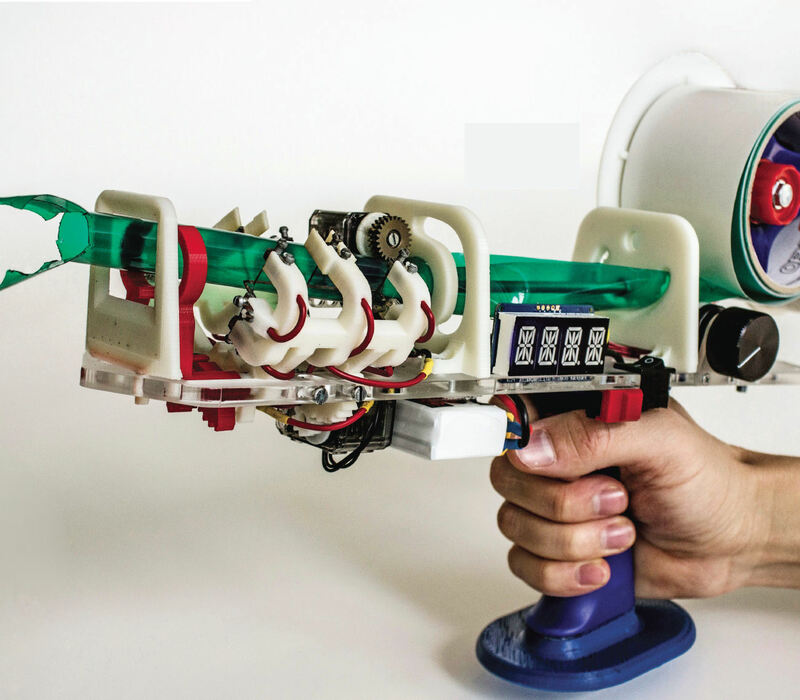 Protopiper is a computer-aided handheld fabrication device that allows users to sketch room-sized objects at actual scale. The key idea behind Protopiper is its main building material: It uses adhesive tape formed into tubes rather than extruded plastic or photopolymer lines. Since the resulting tubes are hollow, they offer excellent strength-to-weight ratio and thus scale well to large structures. By allowing users to sketch and prototype room-sized objects at actual scale, users can verify their designs during prototyping. For example, they can make sure that objects fit with the room or with their bodies.